IFAL, the 5th International Forum on Automotive Lighting, jointly hosted by Automobile Lamps Professional Committee, China Association Automobile Manufacturers, Institute for Electric Light Sources, Fudan University, Shanghai Motor Vehicle Inspection Certification & Tech Innovation Center Co., LTD, Division for Lighting and Signaling for Transport, China Illuminating Engineering Society and Beijing Tongtai International Exhibition Co., LTD, has been successfully launched at Shanghai World Expo Exhibition & Convention Center. On March 6, 2017, the day before the grand opening of the 5th IFAL which will be held on March 7 and 8, 2017, the International Organizing Committee of IFAL has successfully launched the Meeting of International Organizing Committee. The meeting, which was attended by all the members of International Organizing Committee of IFAL, took place in Intercontinental Hotel, at Xueye Road No. 1188, Pudong District, Shanghai. The whole meeting lasted for 3 and half hours, from 14:00 till 17:30. The success of the Meeting of International Organizing Committee could not be achieved without the support of all the members that attended or participated. The members of the 2017 IFAL IOC are: the Former GRE Chair Marcin Gorzkowski, Tomasz Targosinski from Warsaw Motor Vehicle Research Institute, Michael J.Flannagan from University of Michigan, the SAE Lighting Committee Chairman Bart Terburg, Rainer Neumann from Varroc Lighting Systems GmbH, Walter Schlager from Lumileds, Claus Allgeier from OSRAM GmbH, Chen Qiong , Li Gang, Hao Pengfei, Jin Long Ao, Xu Jun, Mo Qingwei, Hou Limin, Guo Zhaoji, Shen Ziwei, Wu Ji Wu,Cang Xuejun , Pan Jiangen, Han Meng. The meeting aims at passing out the good wish and drawing the blueprint of the IFAL. The Organizing Committee is grateful for the participation of all the experts at the meeting, as well as all the support from all sectors. The Organizing Committee is also willing to receive any suggestions for improvement IFALl through this meeting. The meeting has been divided into several parts, including the welcome and introduction, presentation by Organizing Committee, IFAL 2017 program, discussion for next IFAL 2018 and final comments and closing remarks. The welcome has been given by Mr Gorzkowski. After the introduction of all the members, Prof Yandan Lin gave the presentation with the following parts. Prof Lin firstly gave a short review of previous IFAL. 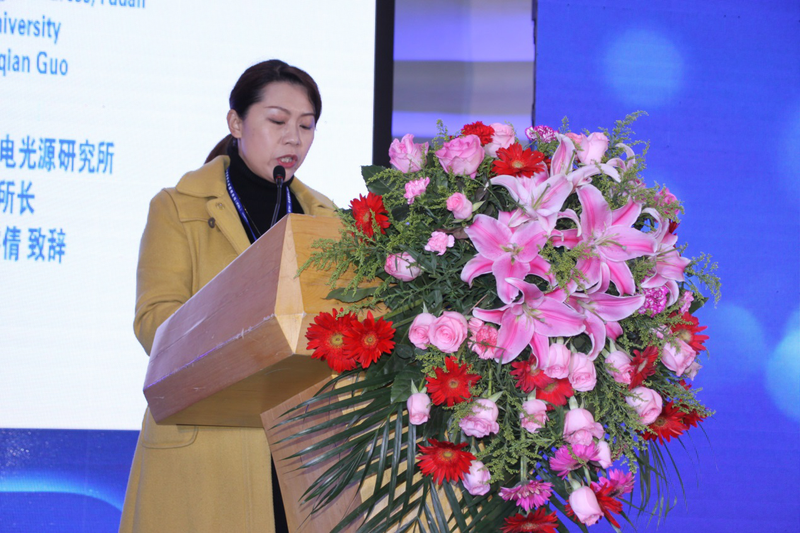 Comparing the change and increase of the past 5 years since its first launch in the year 2013, Prof Lin has mentioned several parts including the number of registrations, the prefaces, all the papers and the change of the location for the conference and also the exhibition. Then, she expressed great thanks for all the sponsors and funder organizers of IFAL 2017. The change of membership of IFAL Committees and boards also marks the improvement and the great change of IFAL. Later on, Prof Lin talked about that an online platform, such as WeChat public, which has been built out through effort in recent years. Also the meeting locations has changed a lot last year and this year, laying out for both the conference area and exhibits. Last but not least, IFAL has built up a strong relationship with IALIE which is beneficial for the academic field. Next the discussion of IFAL program of the year 2017 took place. After Prof Lin listed out the details of submitted papers and others, the discussion hosted by Mr Gorzkowski started. The discussion including the following three parts, the discussion for the submitted papers and presentations, the discussion for excellent paper award, and the panel discussion where the logistics was discussed. The discussion of excellent paper award has guaranteed the quality of the selected best papers which would receive the award at the IFAL meeting tomorrow. After the discussion section everyone in attendance gathered and a group photo was taken, which has resulted in a memorable picture that will be treasured for long. After a short tea break the discussion of next IFAL took place. Prof Lin made a general introduction about next IFAL and Mr Gorzkowski led the discussion for the details for the next IFAL. Many topics were covered including the timing for next IFAL, the location for next IFAL and so on. All the attendants carried out a close discussion about the date and the location. 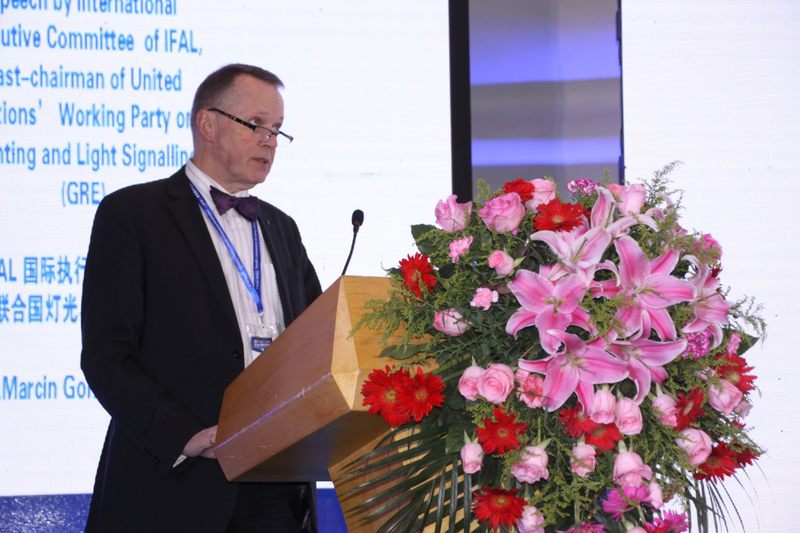 Considering the quality of the papers and the time for preparation of both the organizing Committee and the participants, International Organizing Committee has decided to hold next IFAL in June, placed in Shanghai as usual. The date of the announcement and call for papers, submission of abstract, the acceptance of papers, the submission of papers and the pre-registration of IFAL has also been decided through discussion, based on the date of the IFAL 2018. Following this, a discussion took place of several questions including making IFAL more attractive for people in this field and the next topic proposal and hot topics. By sharing each other’s opinion, the Committee fixed on the key word ‘Safety’ and ‘Challenge’. After exchange between the IOC members, the next topic proposal has been decided as ’Innovative lighting technology and safety’. 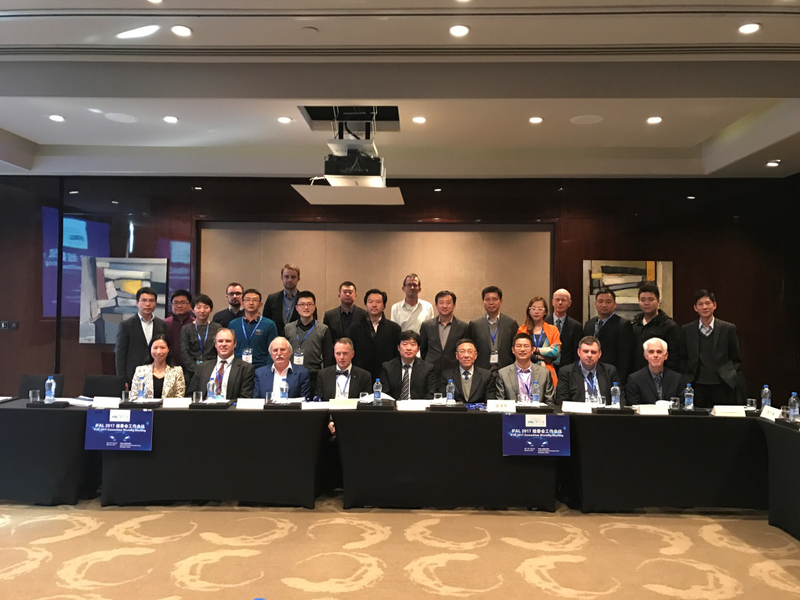 The Committee also focused on hot topics for automotive lighting, including front light, rear light, autonomous driving, new technology, decorative lamp, communication and so on. As a non-for-profit international conference, IFAL has continuously provided an excellent and high end platform for the academic exchange and communication for automotive lighting. Prof Lin has given this meeting an excellent closing remark, and perfect end mark. With the support from all sectors, IFAL will certainly reach a higher place. The meeting of International Organizing Committee has been successfully launched and left everyone an unforgettable memory. The opening ceremony of IFAL was hosted by Prof Yandan Lin from Fudan University, the director of China Illuminating Engineering Society Bing Shukui, the director of the Institute for Electric Light Sources of Fudan University Guo Ruiqian, the leader and chief expert of China quality certification center Xie Penghong, the deputy general manager of Shanghai motor vehicle inspection certification Technology Research Center Co., LTD and the Chairman of China Automobile Industry Association of vehicle lamps Committee Council Cang Xuejun, the Former GRE Chair Marcin Gorzkowski. All these distinguished guests have delivered speeches at the opening ceremony. 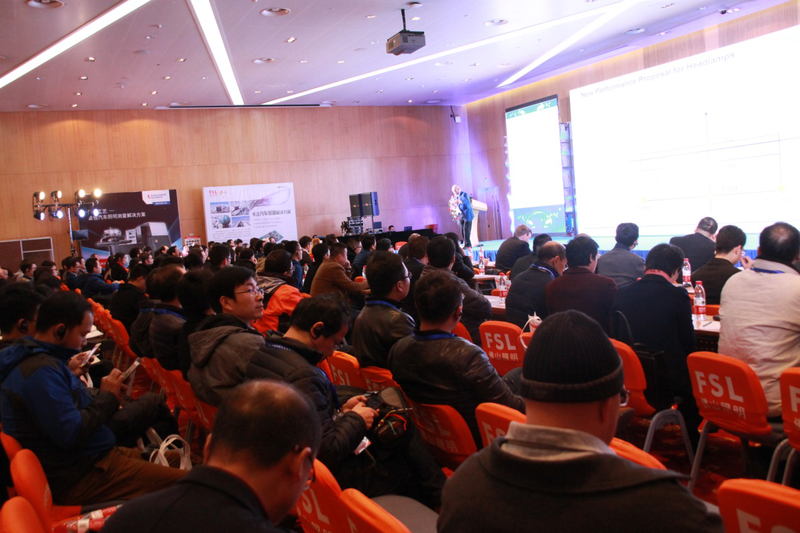 The 5th IFAL, which lasted for 2 days, has the theme ‘Lighting Technology for Connected and automated Vehicles’, in line with the current direction of the development of automotive lighting, highlighting the characteristics of the Internet and intelligent transport era. IFAL has provided an excellent platform for both domestic and foreign guests, who are experts in lighting technology from a number of countries, transnational enterprise, as well as China's light manufacturing enterprises, research institutes and testing and inspection institutions. In all, a total number of more than 500 experts and scholars participated in the IFAL 2017. The chairman of IFAL International Executive Committee, the former GRE Chair Marcin Gorzkowski gave a speech ‘Vehicle signature –present and future purpose, meaning and importance of making vehicle distinct’. The report reveals new technologies and new challenges in the era of lighting of autonomous driving. There were in total 16 reports at the first day of IFAL. The reports listed out a number of innovative concepts and leading technologies in the field of automotive lighting applications, receiving wild resonance from the audience. 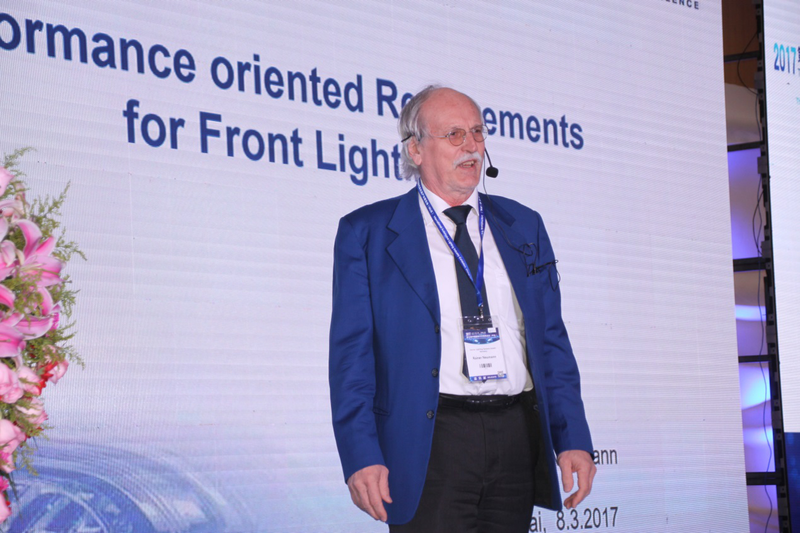 Experts from various countries have also given out many authoritative opinions for the design, application, quality testing and standards of automotive lighting. The 16 reports were divided into 4 thematic reports. The first topic is ‘Regulations and Safety’, including 5 reports, discussed the current standard in the field of automotive lighting, cutting-edge technology research and future development of relevant laws and regulations affecting the driving safety of the automobile. 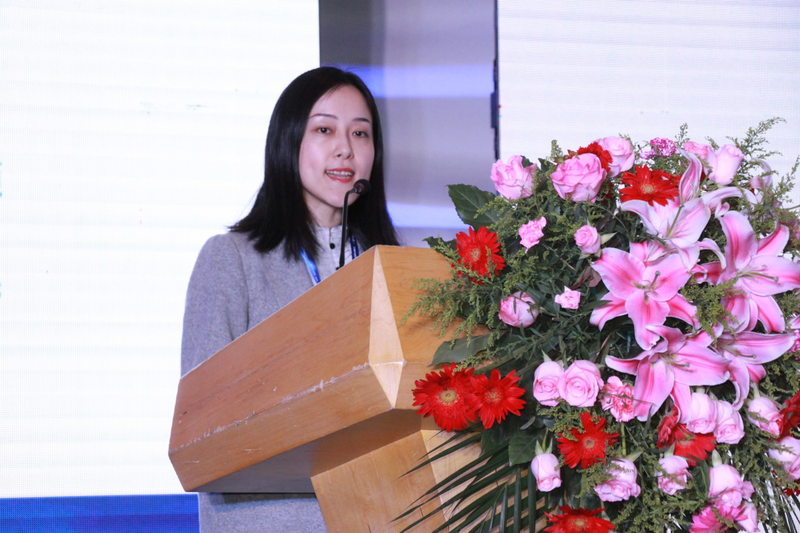 The second topic was ‘Special Optical Design and Lighting Technology’, including 6 papers, discussed mainly new concepts and methods about the design of the automobile headlight lighting field, especially the application of LED technology in the headlight design in detail. The third topic was ‘Measurement and Evaluation’, including 5 reports that discussed the practical problems in the use of automobile lamps, especially the new breakthroughs in the testing technology. Speeches given by experts and scholars home and abroad are really rewarding. After the three thematic reports, IFAL carried out a thematic discussion on ‘Regulatory changes vis-à-vis rapidly changing headlight technology’. At the same time, the third Session of the International Automobile Industry Exhibition China was held, where Valeo, OSRAM, Hella Group, Koito, Electech, Dominant, KX optoelectronic, Instrument Systems GmbH, Hangzhou Everfine, Infineon Technologies, have displayed the latest technology and supporting technology of the design of light, together with testing equipment. On March 8th, the second day of IFAL 2017 of began. IFAL, the 5th International Forum on Automotive Lighting, has been jointly hosted by Automobile Lamps Professional Committee, China Association Automobile Manufacturers, and Institute for Electric Light Sources, Fudan University, Shanghai Motor Vehicle Inspection Certification & Tech Innovation Center Co., LTD, Division for Lighting and Signaling for Transport, China Illuminating Engineering Society and Beijing Tongtai International Exhibition Co., LTD.
After three presentation sessions that took place on March 7th, the second day is started with thetopic of the fourth session ‘Visual Research’. There are 5 reports in this topic. Through the discussion of light perception of human eye, this topic discussed light problems in the application of the new technology and focused on the solution of glare in the process of driving. The session started with the impressive report given by Dr. Rainer Neumann. He introduced requirements needed to make headlamps with good quality beam patterns. 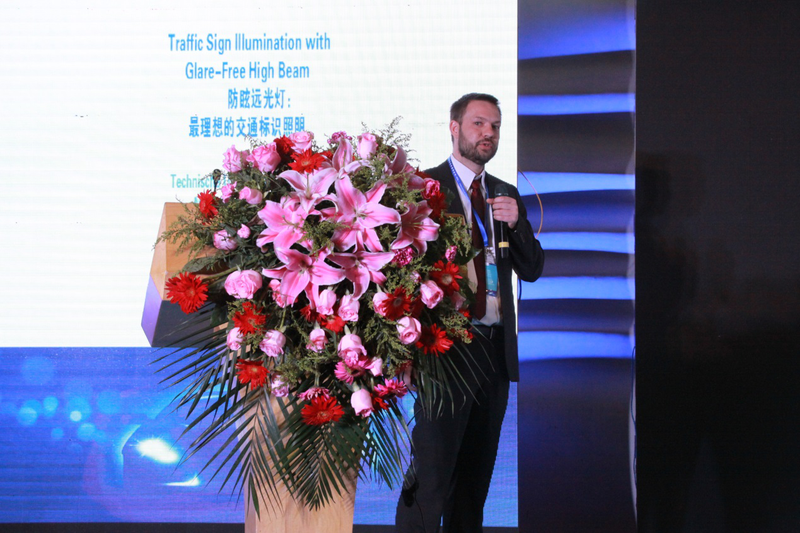 Mr. Kyriakos Kosmas from TU Darmstadt showed his team’s research on anti-glare high beam. He suggested that anti-glare high beam would become the most ideal lighting application in traffic. 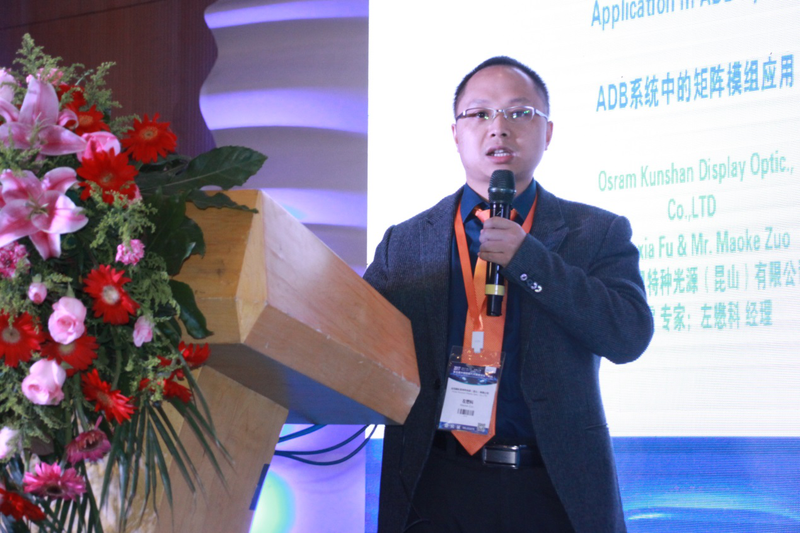 The expert from OSRAM introduced the application of a Matrix module for an ADB system. Next Valeo presented their technology breakthrough to us, the active anti-glare glasses. 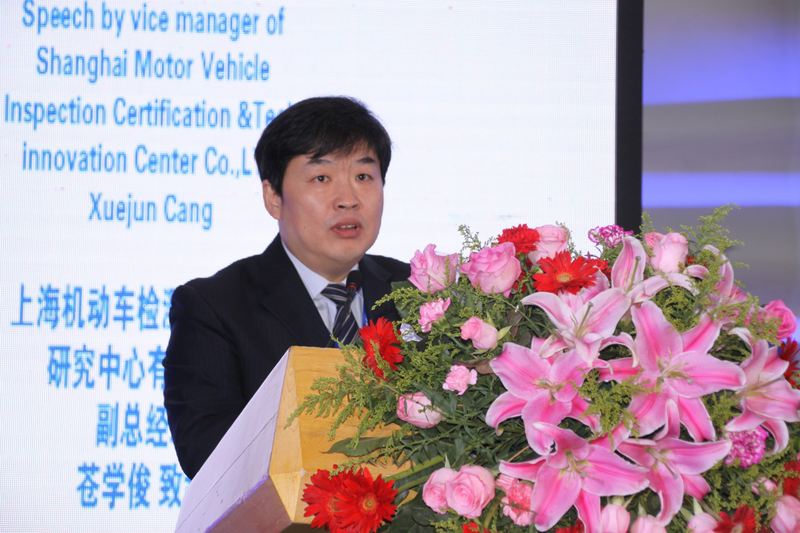 Prof Yandan Lin from Fudan University analyzed the disabling glare based on the data of eye movement which was tested under the condition of real road driving systematically. The topic of the sicth session for IFAL was ‘intelligence and measurement"’. In this session 4 reports were given, mainly on the current rapid, intelligent, accurate and advanced measurement methods for automotive lighting. 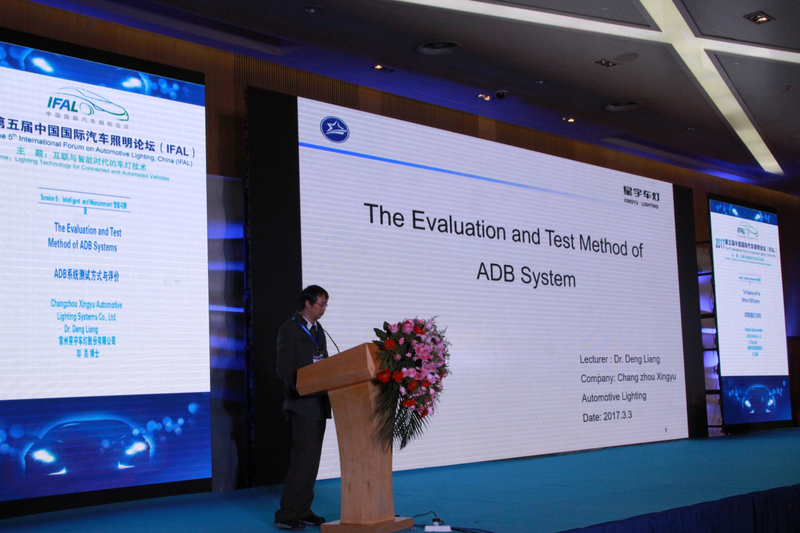 Xingyu lamp introduced the testing methods of ADB system and evaluation method. Everfine published the key technology and solutions for the test of automotive headlight lamp. Light-all explained the method of distributed photometric method based on image processing. KX optoelectronic introduced a new evaluation for atmosphere lamp of high resolution. 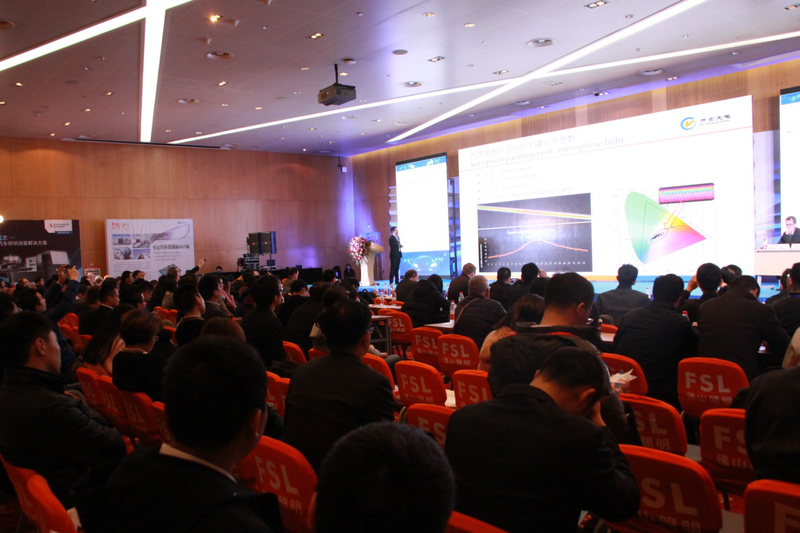 The topic of the seventh session of IFAL was "Trends and Challenges", under which are a total of 5 reports were given about the future development and prospects of automotive lighting technology and the challenges encountered in the field of automotive lighting. 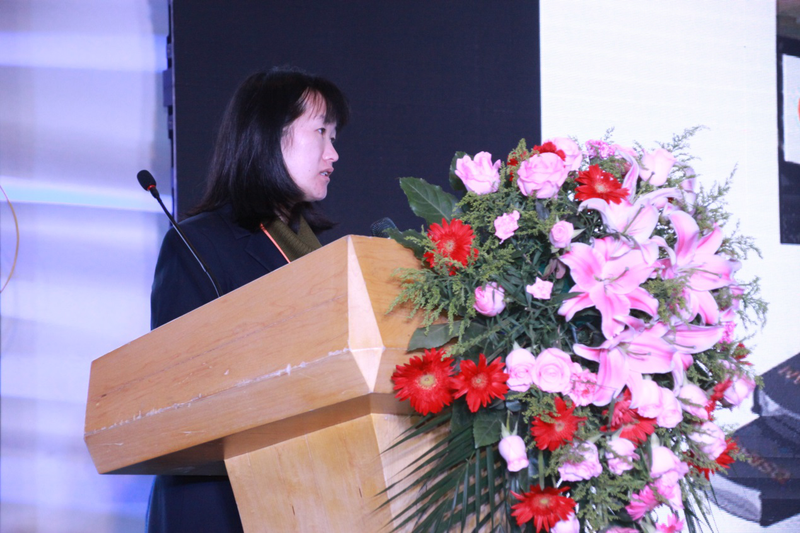 Prof Shiwei Li from Hong Kong University of Science and Technology took the lead in opening of this topic, pointing out requirement of the packaging technology for automotive lighting. Dongfeng Peugeot car has investigated from the weight of the lamp, and put forward the light weight technology. OSRAM introduced a new notchless patch type light source and its influence on economic ADB scheme. Hella Group carried on research about the trend of interior lighting for the future. Audi group introduced the application and new development of flexible OLED in an automobile taillight. 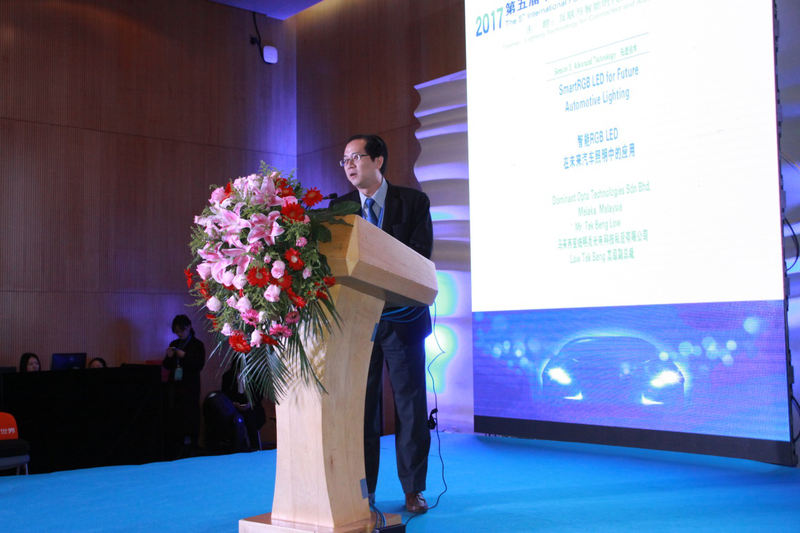 At the end of IFAL, Prof Yandan Lin introduced the current hot research topics in the field of automotive lighting. She gave a wonderful summary of the new technology of automotive lighting in this meeting. And the new concepts of all the hot research topics provide a brand new direction for all the sectors. 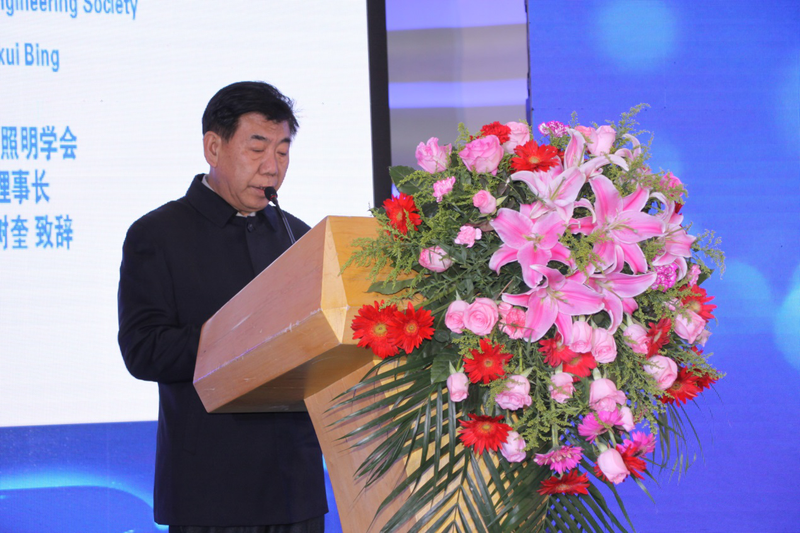 The fifth IFAL came to an end with the ending speech from the Secretary of Automobile Lamps Professional Committee, China Association of Automobile Manufactures Dr. Ming Ling. Dr Ming said, IFAL 2017 was fruitful, beneficial for all the enterprises, universities, scientific research centers. IFAL has provided an excellent platform for the communication and exchanging between experts and scholars in the field of automotive lighting. 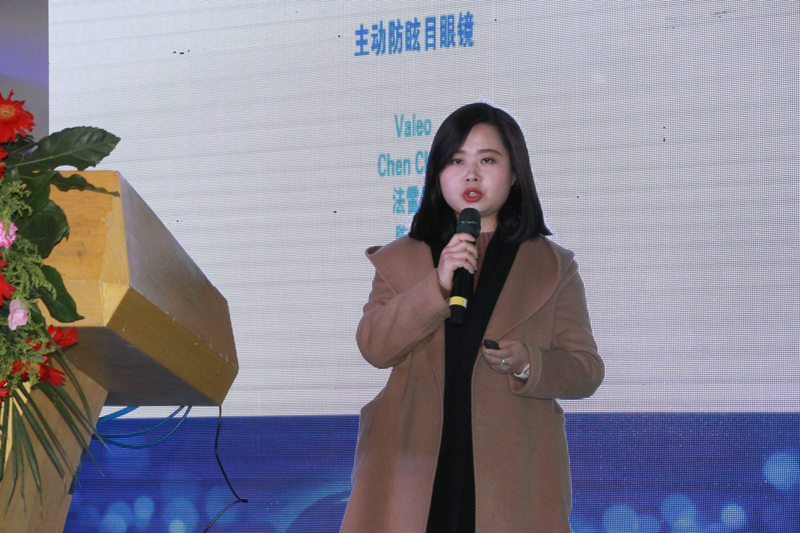 IFAL also showed people the foreign advanced automotive lighting technology and the rapid development of domestic automotive lighting technology in recent years. IFAL 2018 will be held on June 21st and 22nd, 2018, at Shanghai International Conference Center, Oriental Riverside Hotel. The theme of IFAL 2018 is: Innovative lighting technology and safety. The corresponding time of each stage of IFAL 2018 have been decided. Excellent papers will continue to be recommended for publication in the core journal of China Illuminating Engineering Journal. The IFAL organizing committee is actively establishing a further cooperative relationship with international journals.